Although many customers accessorize their homes with a wide selection of premium options our standard home package includes everything you need to build a safe, comfortable and complete home. Our designs and options provide for shell only through turn key (fully fitted out residence), allowing owners to build and finish their home at a pace and budget to fit every need. 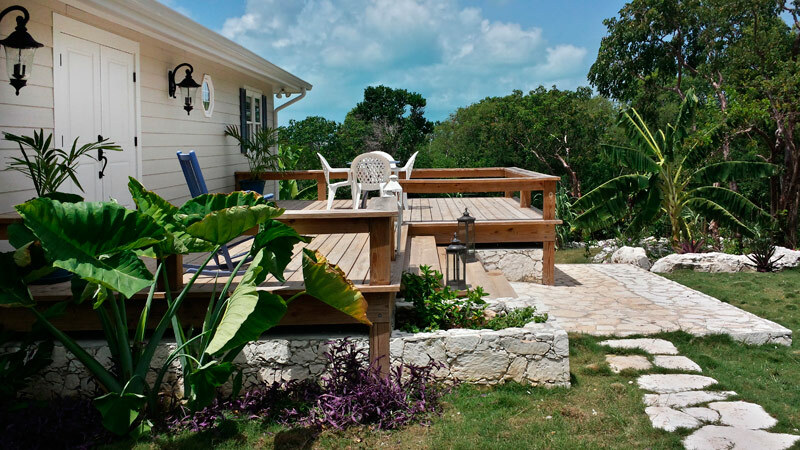 Island Homes are constructed in a controlled environment under supervision at our Nassau fabrication plant. All exterior materials are pressure treated, providing maximum protection against termites and weather. We use stainless steel hardware and fasteners to all exterior materials. Components are typically shipped via flat rack 20 or 40ft. trailers to the site, where they are normally off loaded with the use of forklift and small crew. What Is An Island Home? Our basic home package consists of a building system utilizing state of the art architectural, engineering and manufacturing techniques combined with a production wall panel system that together offer an exceptional alternative to traditional construction methods. All of our Island Home structural designs meet or exceed the Bahamas Building Code requirements and are hurricane rated to 150 mph wind load (the same as Miami Dade County, Fl., USA). Island Homes is the premier choice of residential, rental or vacation home owners throughout our Archipelago.